Organic stains are caused by a natural source. Pools can have two types of natural stains: mineral and organic. Corrosion or water that is added to a pool from a hose can cause calcium, iron, manganese and copper stains on a pool's sides or steps. These are mineral stains. All other stains, such as mold, leaf stains and algae can be caused by an untreated pool. These are considered organic stains. Removal of organic stains can become more difficult as time goes by and should be removed as soon as they are noticed. Identify the culprit by analyzing the pool stains. Different colors of stains come from different sources. For example, green, brown and black stains are organic. Yellow, gray and purple stains are from mineral sources. Mineral and organic stains are treated differently. Test your pool's chlorine and pH levels by using a testing kit. PH stands for potential of hydrogen, or the acidity of the water. The testing strips are easiest to use. 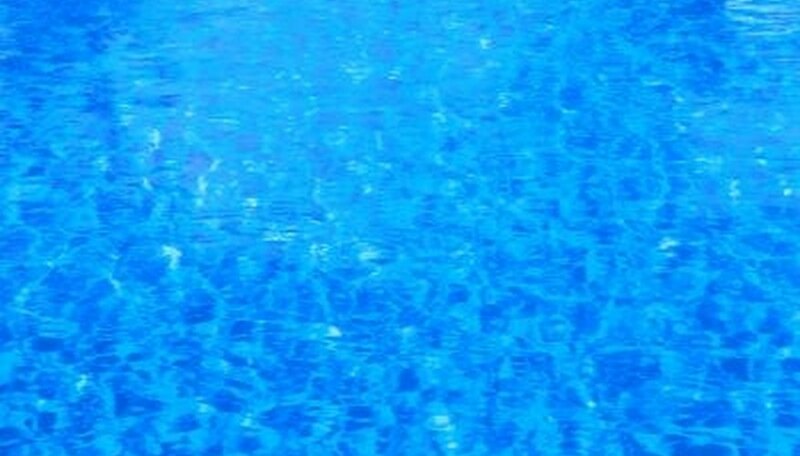 The sample should be taken from at least 6 inches below the pool's water surface. Record the chlorine levels. Purchase a liquid or powder shock treatment. On the shock treatment container, locate your recorded chlorine P.P.M. (parts per million) level. This will tell you how much shock treatment to add to your pool. Pour the shock treatment into your pool's return flow to circulate. Stay close to the pool water level to avoid splashing. Shock treatment can be very dangerous if it comes in contact with your skin. Run your pool filter for 24 hours. Raise chlorine levels to 10 P.P.M. You can find the amount of chlorine needed to raise your chlorine levels with a chart like the one at The Clean Pool and Spa website. The amount of chlorine added will be determined by how much water your pool holds and the type of chlorine. Run your pool pump, filter and robotic pool cleaner for at least eight hours each day. The stains should start to disappear within the first day. Pour a dose of algaecide into your pool for stains caused by algae if the shock treatment and chlorine does not help. Redirect your return water flow, if possible, on to the stain. Use a scrub brush to scrub the stain and allow the pump and filter to run for 24 hours. Never use a scrub brush or abrasive cleaning agents on vinyl lined pools. This can cause damage or fading to the liner.